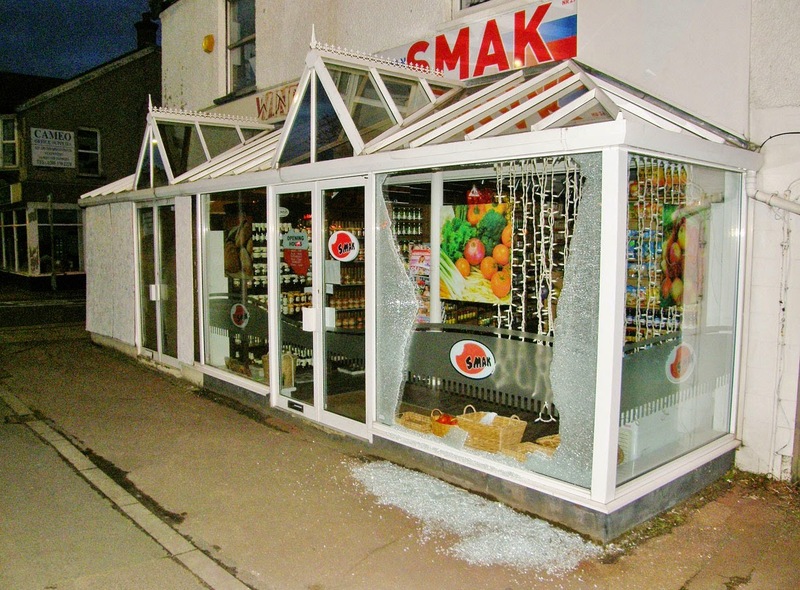 The premises where the new Polish shop recently opened just past the top of Central Road (or at the bottom of Cheam Common Road) has seen it's fair share of smashed shop fronts over the years, usually due to errantly driven vehicles going round the bend too fast. 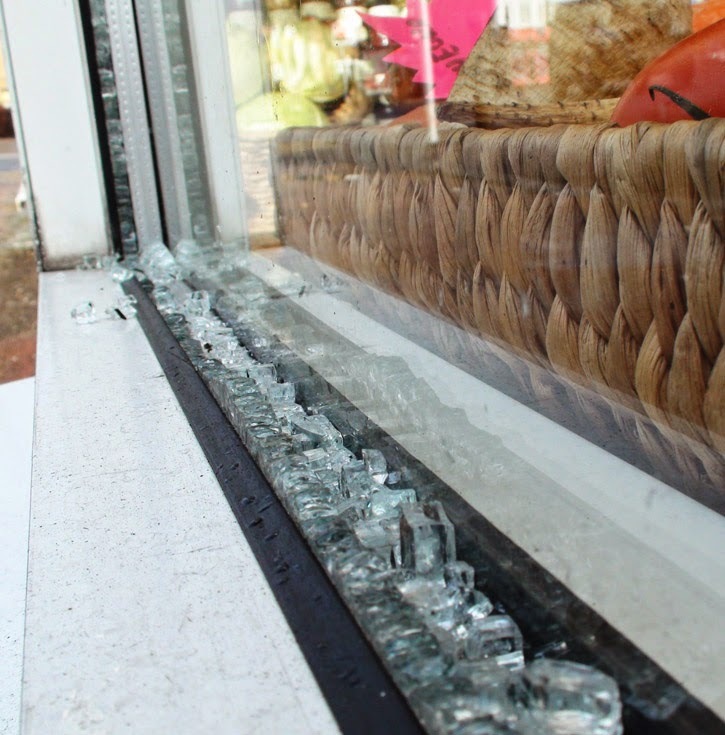 However last Friday (9th January) the shop was victim of a completely different kind of smashed window. "There was no one there. We think someone may have thrown a rock from a car. The Police came down but we haven't heard anything yet." Luckily the window was double glazed and only the front sheet was broken. Throwing a rock at someone's window is a pretty low, unpleasant and cowardly thing to do. If it was indeed this that happened I hope the people responsible are caught and suitably dealt with. Thanks to blog reader Richard for the main photo.